Chinese media revealed the identity of the newly appointed chief of a Chinese communist secret police force recently, but within hours the news was deleted from all major websites. The unusual report took place when Xi Jinping, the Party leader, was in the United States. There are indications that for the last three years he has been marginalizing the secret Party task force, called the 610 Office, which is in charge of the persecution of the Falun Gong spiritual practice and other groups that the Communist Party considers its enemies. It’s unclear whether the news of the recent appointment of Fu Zhenghua, the vice minister of public security, will change the institution. The 610 Office is a secretive entity with sweeping and vaguely defined powers, often likened to the Chinese version of the Gestapo, the secret police of Nazi Germany. It was set up by former head of the Party Jiang Zemin on June 10, 1999 (the date from which its name is drawn) with the express purpose of carrying out the persecution of Falun Gong. A high-level committee (The Leading Small Group for Handling the Falun Gong Problem) was also formed to oversee its work, headed up by some of the most powerful men in the country at the time. They don’t want this organization at the center of any policy. They don’t want to mention this office in public. Falun Gong is a Chinese spiritual practice that teaches the principles of truthfulness, compassion, and tolerance, and includes slow-moving meditative exercises. It had attracted between 70 million and 100 million practitioners in China by 1999, according to official and Falun Gong sources. The campaign against it has been one of the most ferocious security mobilizations in recent Chinese history, involving beatings, mass incarceration, and torture aimed at having Falun Gong adherents renounce their beliefs and pledge loyalty to the Party, according to human rights researchers. Directing that effort has been the 610 Office. Leadership of the agency had always been shrouded in secrecy. But since Xi Jinping’s ascension to power, two major announcements seemed to indicate that it was being sidelined in the Party structure. 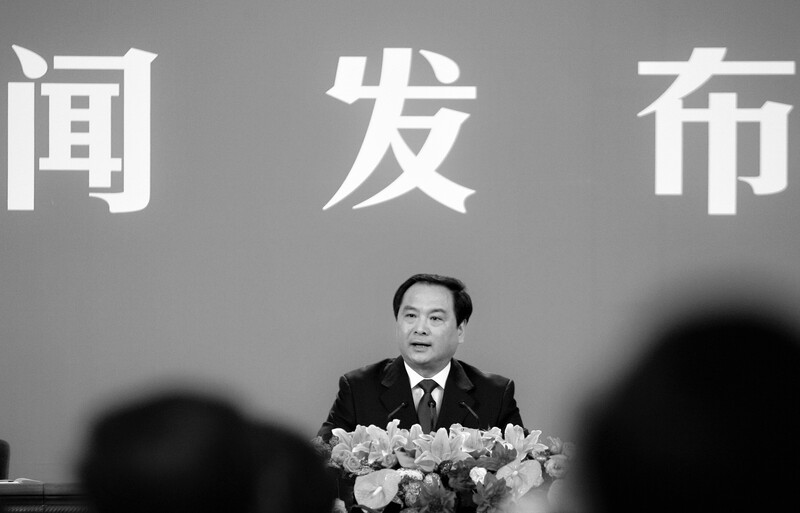 When Li Dongsheng, a crony of the former security czar Zhou Yongkang, was purged in December 2013, his title as director of the 610 Office was prominently displayed. Those paying attention knew the office no longer had a leader. Liu Jinguo assumed the post in January of 2014, though nothing was stated in the media until much later in the year. It was then announced that he had been appointed second-in-command of the Party’s internal investigatory agency, an intensive role that indicated his energies would not be devoted to his 610 work. In May of 2015 the news that Liu was no longer head of the 610 Office was publicized prominently by major mouthpiece media, including People’s Daily. The successor was not known until now, and it’s unclear when Fu Zhenghua began the job. Both of these gestures were, strictly speaking, quite unnecessary, said Xia Yiyang, a senior director at the Human Rights Law Foundation, whose work focuses on tracing the operations of China’s security apparatus. “The reports had political motives. There was no need to expose Li Dongsheng’s title. When that was done, a signal had been sent. After that, Liu Jinguo was kept relatively low key,” he said in a telephone interview. It’s a signal that the 610 Office is continuing as a Chinese Communist Party entity persecuting Falun Gong and other religious groups. It had appeared for a period earlier this year the 610 Office had no leadership—at least, no new leader was announced. And it seemed the intention of Communist Party leader Xi Jinping to keep it that way, given the manner in which the recent reports were so quickly deleted. Fu Zhenghua’s new position was reported by the Xinjiang Daily, in an article listing the 69 delegates from Party Central who attended a ceremony celebrating the 60th anniversary of the PRC’s control over the Xinjiang region, populated by the Uyghurs, a Turkic, Muslim people. Reports were then recirculated on mainland Web portals, such as Sina, Phoenix, and The Paper—but within hours the news was purged from all of them. And the news did not appear in the authoritative media People’s Daily or Xinhua, reliable bellwethers of central policy. Whether the initial report was intentional or not is also in question. Xia, the researcher, outlined two possibilities: One, the factional—that those who have a stake in the persecution of Falun Gong, and the future of the 610 Office, saw to it that Fu Zhenghua’s title was publicized. The other is that it was simply an accident. Optics and propaganda aside, there are both institutional and personnel considerations related to Fu Zhenghua’s appointment. 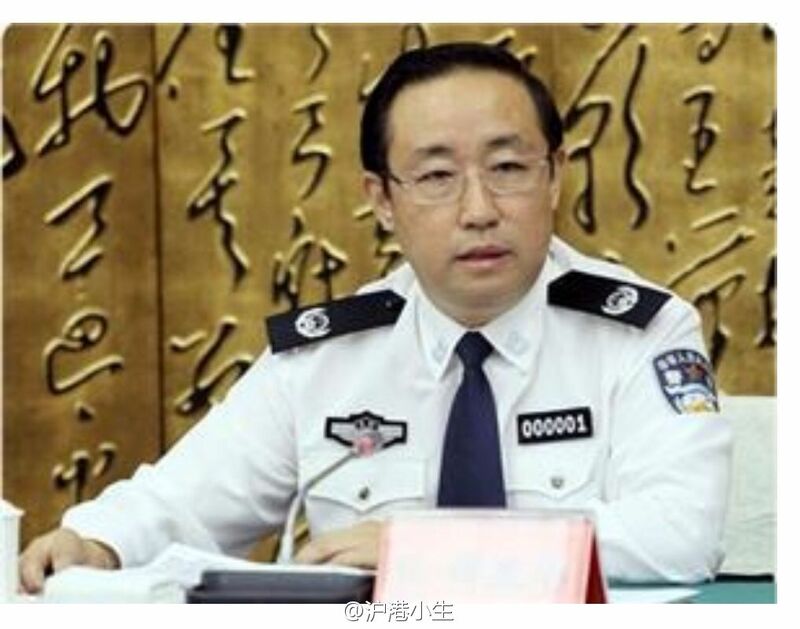 Fu’s background is firmly in the camp of Zhou Yongkang, the purged former security boss, and he has over the years been heavily involved in the anti-Falun Gong campaign—for example, in his role as head of the Beijing public security bureau. But when it came time for Xi Jinping to eliminate Zhou Yongkang, Fu quickly became turncoat, according to widely quoted rumours in Hong Kong-based media outlets. This spared him the fate of his previous patron, according to those accounts. The appointment of two successive outsiders to the agency in short order, rather than the promotion of a 610 stalwart that constituted its previous leadership (such as the officials Wang Maolin, Liu Jing, or Li Dongsheng), is also an indication of the attenuation of its institutional clout, Xia indicated. The broader framework for analysis about the continuing role of the 610 Office is its association with the political program of former leader Jiang Zemin, who has become the chief factional rival to Party leader Xi Jinping since the latter took power in late 2012. All of the senior Party officials to be purged in Xi’s Party rectification campaign were, if not specifically appointed by Jiang, known to be his loyalists. 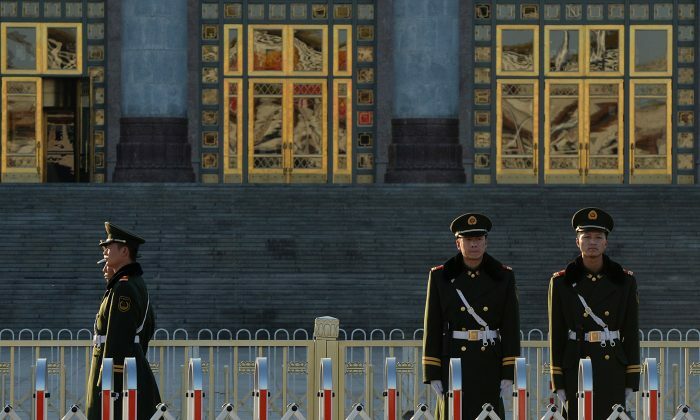 But bureaucratic resistance to major changes in the configuration of the sensitive security forces may, for now, be preventing a genuine extension of Xi Jinping’s purge to the 610 Office. Any such change would also likely need to be accompanied by a shift in the policy of persecution of Falun Gong, which then becomes a sensitive and thorny political question. The appointment of Fu Zhenghua appears to be an expression of this path dependence, analysts said. “It’s a signal that institutionally the 610 Office is continuing to survive as a Chinese Communist Party entity persecuting Falun Gong and going after other religious and spiritual groups targeted by the Communist Party,” said Sarah Cook, a researcher of China at Freedom House and the co-author of an analysis of the operations of the 610 Office. While Fu Zhenghua’s appointment may not signal an intent by central authorities to reinvigorate the persecution of Falun Gong, confirming who heads the 610 Office could, at least temporarily, lead to increased persecution at the grass-roots level. Correction: An earlier version of the article indicated that Li Lanqing was the first director of the 610 Office. The first director of the 610 Office was actually Wang Maolin. Li Lanqing was the first leader of the Central Leading Group for Dealing with the Falun Gong Problem, whose sole executive agency is the 610 Office. If Xi Jinping’s campaign of political cleansing is to deepen, Jiang and Zeng would be the final targets. Chinese media reports suggest revealing accounts of the changing political fortunes in China.